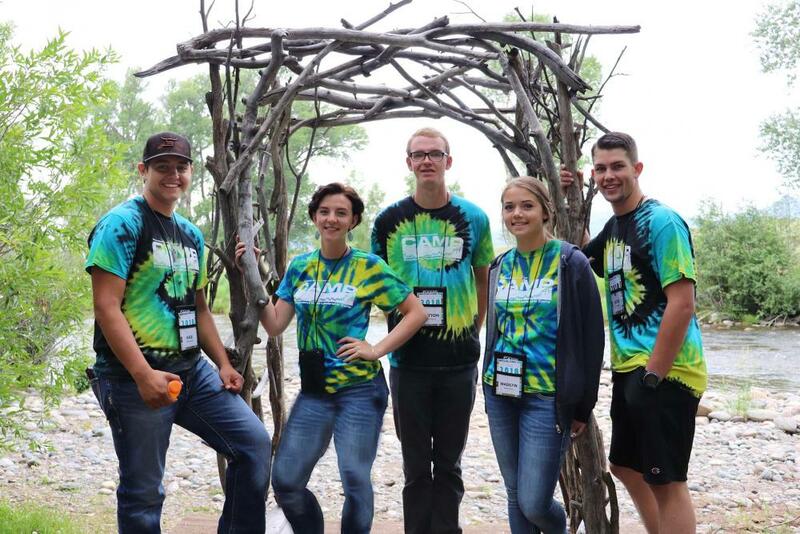 DURANGO, Colo. – La Plata Electric Association (LPEA) invites high school sophomores to participate in the Colorado Electric Education Institute (CEEI) Cooperative Youth Leadership Camp – an all-expenses paid educational/leadership camp set for July 13-18, 2019 at Glen Eden Resort outside of Steamboat Springs, Colorado. Deadline for student applications is Friday, February 8, 2019. (L-R) Kale Hall, Emily Cole, Britton Brewer, Madilyn Hankins and Justus Logan traveled to Steamboat Springs, Colorado to attend the Colorado Electric Education Institute’s Cooperative Youth Leadership Camp in 2018. The delegates were sponsored by La Plata Electric Association, Inc. and Empire Electric Association, Inc.
Organizers note that “fun” is also part of the experience, and scheduled activities include a river trip and dance, a visit to Steamboat Springs and Fish Creek Falls, plus free time at the swimming pool. For 38 years, the Cooperative Youth Leadership Camp has brought together some 100 high school students selected by electric cooperatives in Colorado, Kansas, Oklahoma and Wyoming to help build the leadership skills that will assist them in meeting the challenges of the future, plus learn about the organization and operation of a cooperative. LPEA will sponsor three high school sophomores. All area high school sophomores who receive their electric power from LPEA are eligible to participate in the 2019 camp, including home-school students. To be considered, students must complete the 2019 Cooperative Youth Leadership Camp Application (PDF file) and submit it to LPEA, along with a 500-word essay reflecting the student’s personal perspective on leadership. Applicants should have a strong academic record, be interested in enhancing their leadership potential and have an interest in meeting new people. 2019 Cooperative Youth Leadership Camp Application (PDF file) is available on the LPEA web site, www.lpea.coop, from high school counselors, and at the LPEA offices in Durango and Pagosa Springs. For further information regarding the Cooperative Youth Leadership Camp at Glen Eden Resort, contact Lonnie Tucker, 970.382.3511 or ltucker@lpea.coop.